Waking up with a sore or stiff neck? This is very common and is usually related to sleeping with your neck in the wrong position. If your neck is bent at an unnatural angle and you sleep that way for several hours, it is quite likely you will feel it in the morning. The best pillows for neck pain can help eliminate discomfort, as well as increase the quality of your sleep by supporting your head and neck consistently at the appropriate height throughout the night. My head and neck need support? Pillows exist for a reason. A pillow fit for a king. 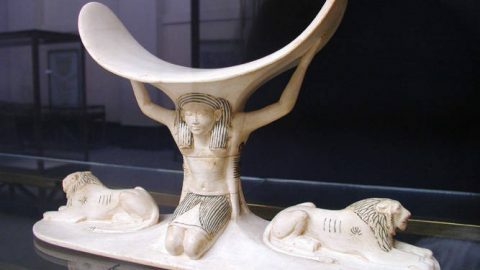 Tutanhkamun’s (“King Tut”) headrest illustrates the firm origins of the modern pillow – Softer doesn’t always mean better. For thousands of years, people have used pillows for head support while sleeping. Some of the earliest pillows were made out of completely solid materials like porcelain, wood or stone. Softer materials certainly existed, so why where these pillows so hard? While the thought of a solid pillow may sound uncomfortable, you may be surprised to discover that a rock-hard pillow is more comfortable than no pillow at all. Have you ever tried to sleep without a pillow? Most people find this incredibly uncomfortable. In fact, sleeping without a pillow on a nice bed can be more uncomfortable than sleeping on a hard floor with the proper pillow. The difference is proper support of your neck and head. Support your head for a straight spine. If your pillow doesn’t keep your head at the correct level, you may experience back and neck pain. There are three primary positions in which people sleep: on one’s side, back, or stomach. Most people sleep on their side or back, while a few sleep on their stomach. Sleep experts agree that sleeping on one’s stomach is not good for your back and is a common cause of back pain and neck pain. Regardless of which position you sleep in, the key to eliminating neck pain is to ensure that your head is supported in a neutral position. When sleeping on your back or side, you’ll want to support your head above the surface of the bed. If you do not have a pillow or if your pillow is too thin or soft, your neck will bend downward and strain your neck and back muscles along your spine. If your pillow is too thick, it will bend your head unnaturally upward, also causing strain. A pillow designed to help relieve neck pain will properly elevate your head enabling you to achieve the most comfortable and restful sleep. It is important to note that many soft pillows will collapse over time, and will not support your head consistently throughout the night. In fact, many people find themselves using two pillows or folding their pillow in half in an attempt to support their head at the proper level. A typical orthopedic pillow has a bulge to support the space beneath your neck. The best pillows for neck pain support the space beneath your neck. In addition to supporting your head at the proper level using a firm pillow of the correct thickness, support of your neck is also very important. The natural curve of your neck creates space beneath your neck, which most pillows do not properly support. Many doctors recommend rolling up a towel to fit in this space beneath your neck, while allowing a pillow to support your head. Shaped orthopedic pillows, or contour pillows for neck pain are often made of memory foam or latex. These shaped pillows feature a bulge along one edge designed to support by filling in the space beneath your neck. Buckwheat pillows offer superior support. A buckwheat pillow’s adjustable loft provides support that works for everyone. It’s quite likely that any non-adjustable pillow you buy will be either too thick or thin for you. Fortunately most buckwheat pillows allow you to adjust the thickness, or loft, by adding or removing fill through a zippered opening (don’t get a buckwheat pillow without it). It doesn’t matter what size you are or what sleeping position you prefer, a buckwheat pillow can support your head at the correct elevation. You’ll be able to fine-tune the loft so that your head and neck are positioned just right. A buckwheat pillow will conform perfectly to the shape of your head and neck, evenly supporting your body’s weight. Most pillows cannot not support your head as completely as a buckwheat pillow does. A buckwheat pillow’s unique hull filling will accommodate the shape of your head and neck precisely. Its malleable character allows it to evenly distribute your head’s weight eliminating pain-causing pressure points. The individual buckwheat hulls’ irregular shape causes friction between them that enables the pillow to hold its shape. They’re sort of like a bean bag that doesn’t collapse on itself. A buckwheat pillow won’t collapse in the middle of the night. Unfortunately most traditional soft pillows like down will slowly flatten out under the weight of your head while you sleep. This will result in an uncomfortable downward bend in your neck. 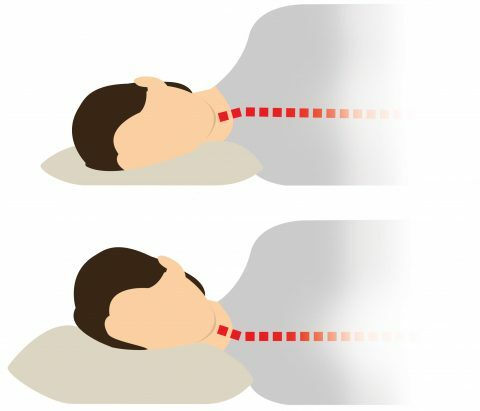 Folding your pillow in half is popular solution, but this often creates the opposite problem: an upward bend in your neck. A buckwheat pillow will stay cool. Repeatedly flipping to the cool side of the pillow in the middle of the night isn’t the way to sleep! Down, foam and other pillow types retain body heat and can quickly become hot and uncomfortable. Moisture collects on your skin and inside your pillow while you sleep. 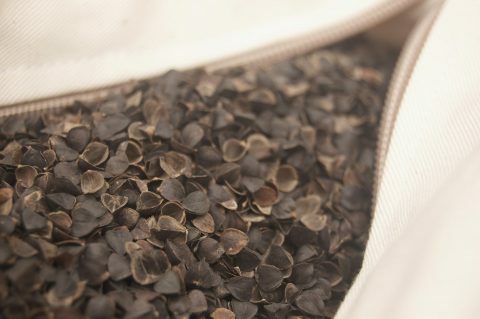 The unique shape of the individual buckwheat hulls inside the pillow allows air to flow more freely through the pillow, aiding the evaporation of that moisture. The evaporation produces a cooling effect similar to a fan’s. Buckwheat hull fill allows warm humid air absorbed from your body to quickly escape the pillow, preventing uncomfortable heat build-up. An unzipped Hullo pillow reveals its buckwheat hull filling. We’re convinced that the best pillows for neck pain relief are buckwheat pillows. We’ve tried all the popular pillow types that purport to relieve neck pain: water pillows, contour pillows, memory foam pillows… None provide the firm, cool comfortable support that a buckwheat pillow can provide. Consider trying Hullo™ buckwheat pillow. If you’d like to give a buckwheat pillow a shot, please consider our product, Hullo™. Try it for 60 days and if it’s not for you, just send it back to us for a refund. We think it’s the best buckwheat pillow available, but don’t take our word for it. Check out some our customers’ reviews. Give Hullo pillow a try for 60 nights. If you're not sleeping better, just send it back to us for a full refund. 10 Responses to My Neck Hurts! What Are the Best Pillows for Neck Pain? I folded my pillow for years without realizing I needed a thicker, firmer pillow. It’s funny how something so simple can make such a big difference. That’s a lot of thought put into the choice of a pillow. i have always just bought cheap pillows from a general store. I have found as I am getting older that my neck is giving me a lot of trouble and I can only link it back to the way I sleep. Thanks for the info, I will look into some better options and make sure my spine stays aligned! I am too young to be having all this neck pain. I got rid of mine once I got the problem caunisg the pain taken care of. You have pinched or tight muscles in your neck and no matter what you sleep on until they are released they are going to be painful. Once released you will be able to sleep on anything, I know I have and it no longer bothers me. 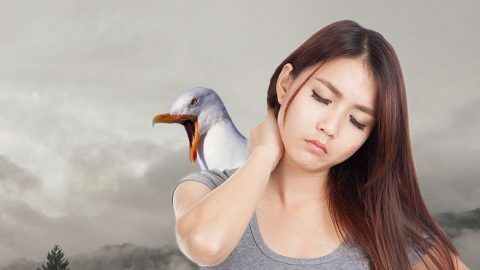 Here is how to release the muscles in your neck to get rid of the pain:NeckPut your hands alongside your head so your thumbs are on the front of the muscle under your ear and your fingers are on the back of the muscle behind your head. Squeeze your thumb and fingers together and hold. Relax your body. After 45 seconds, slowly lower your head as far as you can, release the pressure but hold your neck lowered for another 30 seconds.With your neck in the lowered position, replace your thumbs in under the ears and your fingers behind your head but right next to your skull this time. Press your fingers and thumbs together again and hold. Relax your body while waiting. When the muscles have all released, slowly lift your head until it’s level again, release the pressure but hold your head like that for another 30 seconds. Maritza, I have terrible neck pain and would love to try this technique. But I am a visual learner and just don’t understand what to do from these written instructions. Could you make a video of it on YouTube and post us the link to it here? I would be forever in your debt. The pillow might help but inoisrevn therapy will work better for spinal alignment. Inversion therapy uses the effects of gravity to weight down your spine and stretch it out. As this happens your spine is allowed to decompress and as that happens it relieves the pinched nerves in your spine. Inversion therapy causes your muscles of your core (the hips, thighs, buttocks, back muscles and most importantly the stomach muscles) to stretch out. As they stretch the knots and spasms leave and when these muscles are all relaxed they loosen their grip on your lower back muscles, your spine and most importantly your neck and pelvis, allowing them to go back into natural alignment. As they align this will cause your sciatica to vanish. It’s like if your car is out of alignment it pulls to one side and screws up the tires, it’s the same with your back. Inversion therapy will help align your spine much quicker than some pillow while you’re laying on your back. Hope this helps. Nice article, something that really helped me with my neck pain was changing the way I sleep. Don’t sleep on your stomach. While a favorite position for many, this sleep position can twist your neck and put pressure on your lower pack. A better option – sleep on your back or your side. It also helps to purchase a pillow that provides maximum neck support. Also, multiple pillows may provide immediate comfort at night, but cause neck pain in the mornings. Your head, neck and spine should stay aligned throughout the night to reduce pressure. 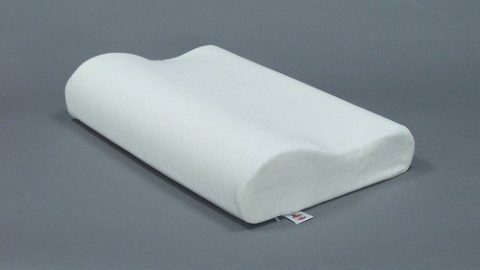 the orthopedic pillow for neck pain is indeed the best one any one could get..it is really very effective and very reliable too. The best pillow I have found is one which you have to order by your build of your body. Cost £27 but we’ll worth every penny. Going to take it away with me on holidays too. I’ve heard these pillows are great but did not know why – now I understand and also why its important 🙂 . Stiff Neck Remedies: Get Effective and Lasting Relief! 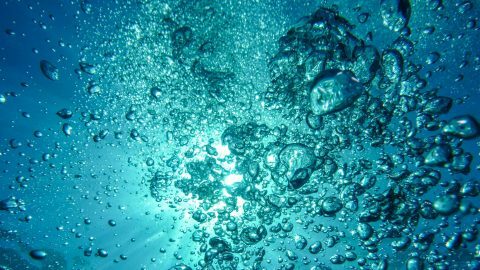 Sailing the Sea of Sleep on a Water Pillow: Does It Work?